C-26, 1st Floor, Sector 3 Above Nissan Motor Showroom Noida - 201301, U.P. 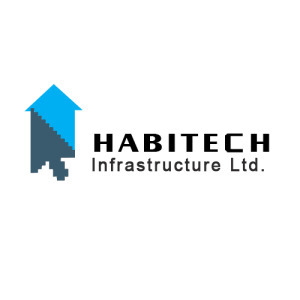 Habitech Infrastructure Ltd strives to continually explore new ideas and technology, to make the selling and buying of real estate faster, less costly, and easier. Their mission is to work under necessities such as strategic location, stylish design and convenience, vastu compliant homes, idyllic surroundings and affordable rates with strict observance to the legal aspects. Well known in the real estate sector, Habitech Infrastructure has a plethora of residential projects, commercial projects, IT/ITes Hubs and Studio apartments under its belt. Some of their most prominent projects include Panchtatva, Hotel Reglia, and Crystal Park. These projects are known for their wide list of features and amenities along with the amazing location advantages that come with them. With great leaders and teams of experts backing them up, Habitat Infrastructure is poised to be one of the leading names in the real estate sector. Due to their focus on taking into consideration all the needs and requirements of potential clients, they have achieved positive feedback on all their projects.